The best time to visit Port Douglas is of course, when you can visit. Never let the weather put you off too much, but should you choose summer or winter, wet season or dry and should you factor in stinger season? 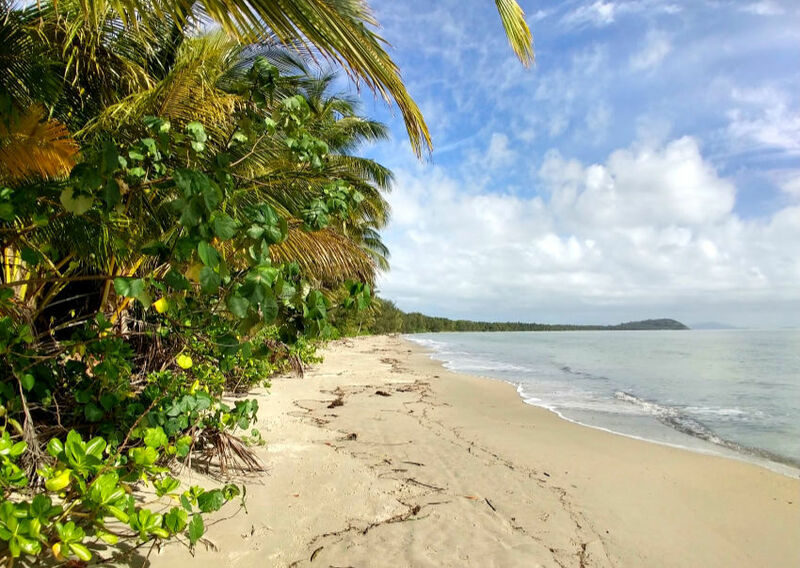 A lot depends on which of the things to do in Port Douglas appeal to you most. Do you need the best time for visiting the Great Barrier Reef from Port Douglas, to take a tour to the Daintree or to enjoy Four Mile Beach? We’ll try to break it down for you. 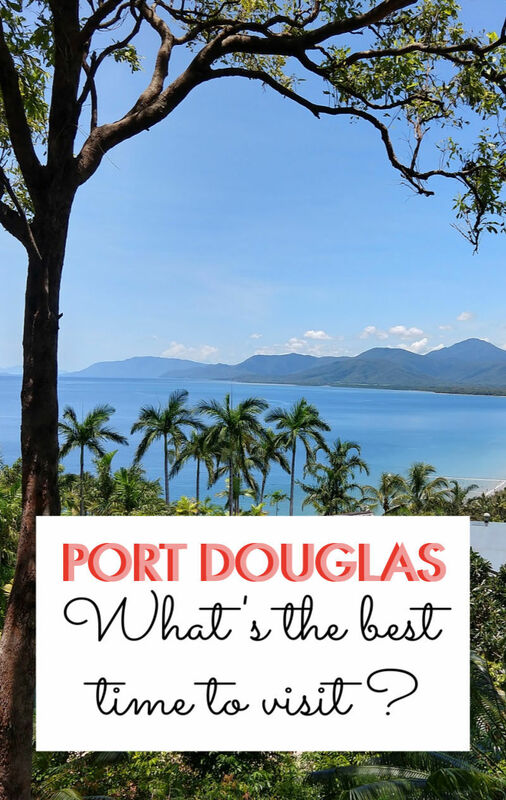 We’ll look at the weather in Port Douglas month by month and help you judge what the best time to visit Port Douglas is for you and the things you want to do. We have a tropical climate here in Port Douglas so temperatures don’t fluctuate greatly. The hottest , wettest time is November to April, after the monsoon. The cooler, dryer period is June to October. Really, we only have 2 seasons, the dry and the wet, with ” the build up” preeceeding the start of the wet. There are many things to do in Port Douglas, some you can do in the rain if you’re so inclined but some businesses and activities close for a while in the wet season. You also need to check out the things to do in Cairns because some of those will be best appreciated at certain times of the year. So figure out what you’d like to do in Far North Queensland and then see when the weather will allow it. It is our opinion, as locals, that the ideal time is the shoulder seasons either side of stinger season and the wet season. If you’re strapped for cash come in the wet, prices can be lower then and if you’re in luck conditions on the reef could still be great. There is also the risk of very bad days out there, so if you only have a day or two and snorkelling on the Great Barrier Reef is your goal, you could risk disappointment. Cyclones happen up here in Port Douglas too, we have a paragraph on that below. Use our index to find what you’re looking for. 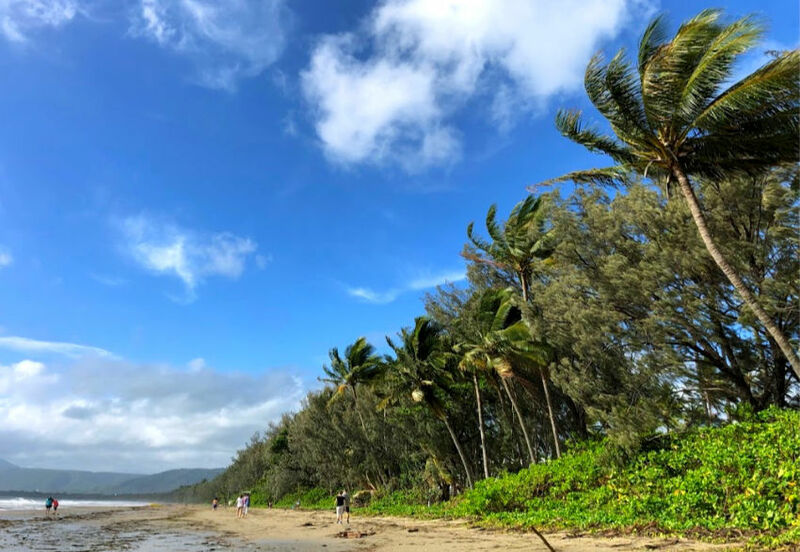 When is Cyclone Season in Port Douglas? The best time for swimming in Port Douglas would be April to October. Water temperatures are at their lowest, at 23º C in Jusly and generally max out in February at 29º C. A good storm can, and hopefully does, cool the sea temperature at that time of year. 30º C is enough to cause coral bleaching. January is hot and wet but you may still get some good days. Expect temperatures between 32 and 26C . It’s the middle of summer! In January Fenruary and March we will experience maximum rainfall at over 400 mm in an average month. Nothing changes temperature-wise in February, maximum and minimum temperatures are still 32ºC and 26ºC. Rain continues, it may be even wetter than January. Humidity is at it’s highest in February, 79%. When we experience heavy rain in Port Douglas it’s quite likely that there will be flooding in Daintree or as far south as Townsville. This southern flooding can close roads and restrict access to far north Queensland so if you’re heading to Port by car be aware of that. It’s very unusual to see flooding actually in Port Douglas itself. A walk on Four Mile Beach early one morning in March. Sure there are wet days too in March, but this day was perfect. Spring is here! Temperatures just may drop a little in March and by the end of March things should be getting more comfortable. Expect temperatures between 31 and 25 C. Again, it’s wet. April is a good time, temperatures are easier to take, at between 29ºC and 24º C. It can still be pretty wet with an average of 200 mm of rain this month. Another good temperature drop in May, we’re down to 28 – 23 C now and days of rain are starting to decrease nicely. Port Douglas Carnivale is held in May, the weather is good and the crowds are expected from next month. It’s getting dry and it’s the first day of winter. Expect temperatures between 26 and 21 C and markedly less rain, this is the official dry season’s beginning. This is the start of high season. August will be a touch warmer than July as winter comes to an end. 27ºC – 21ºC and average just 6 days of rain bringing under 70 mm in the whole month. Things are building up with maximum temperatures hitting 30 c and minimums of 23 C Not much rain happening yet. It’s pretty warm ! 32-25 C and we look forward to electric storms in the afternoon. Not much rain actually falls though, we need December to arrive for a good soaking. November is the official start of the wet season. In December everyone is waiting for the wet to arrive and bring more relief from the heat and water for our gardens. Temps are getting up around 32 to 25 C and the rains will hopefully be provinding afternoon relief. Summer has arrived. Carnival is generally towards the end of May , in 2019 the Port Douglas Carnivale is May 24 – May 26 th, it’s a lot shorter than previous years. It’s usual around here to stay in a hotel over Christmas with many big hotels offerring seasonal feasts on December 25th. There is a New Year’s Ever fireworks display in Port Douglas, 2 infact, one early one for those who need to be tucked up in bed before midnight. January 1st is New Year’s Day. In Australia the long school holidays are in Australian summer, which is Christmas. 2019 dates are ( approximately ) 22nd December to 3 rd February. Local kids will also be on holiday over Easter ( 7th July – 22 nd July 2019) and have a day off for Anzac Day ( 25th April ) and Australia Day ( 26 th – 27th January). Half term holidays are around 7th to 22 nd July and 29th September to 14 th October. These dates are meant as a guide only please double check them yourself. Port Douglas Markets do run all year round but in the wet season expect a much smaller market than in the drier, cooler months. The reef fleet does run all year but bad weather will cause cancellations from time to time. The seasons are strictly regulated in Australia with each season beginning on the first of the month and each season lasting exactly 3 months. Spring starts in September, summer starts in December, autumn starts in March and winter starts in June. I know it’s confusing, I’m from the Northern Hemisphere ! 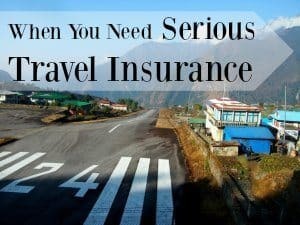 Cyclone season isn’t the best time to visit. Cyclone season in tropical north Queensland and Port Douglas is approximately November to May. A tropical low, tropical storm or cyclone in the region can bring a lot of rain over several days. Chances of getting a cyclone in November or April – May seem pretty slim to me, having lived here for over a decade, but it can happen. We hope that was helpful! So now you know your best time to visit Port Douglas, go ahead and book your Port Douglas accommodation and organise your trip of a lifetime to the Great Barrier Reef. We’re working on even more guides to our corner of Queensland Australia ever day.